Kiira Linda Katriina Korpi is a Finnish figure skater. She is a three-time European medalist (bronze in 2007 and 2011, silver in 2012), the 2010 Trophée Eric Bompard champion, the 2012 Rostelecom Cup champion, a two-time Cup of China medalist, and a four-time Finnish national champion (2009, 2011–2013). 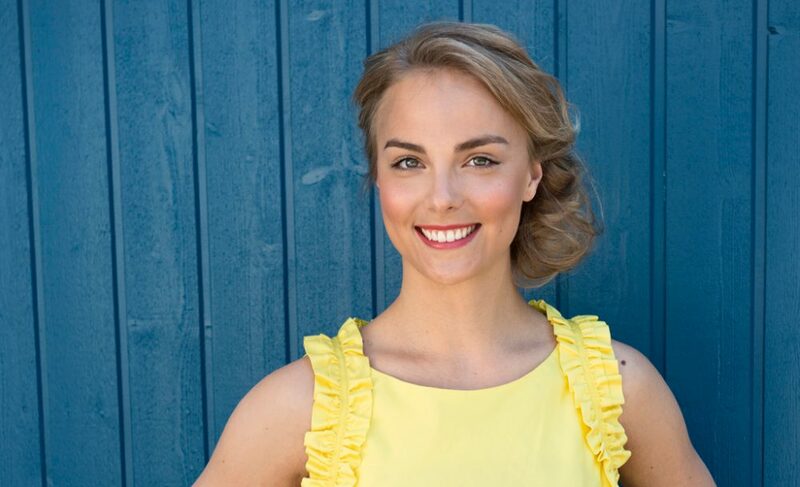 Kiira Korpi wrote on her website ” Devotion is my fortune. When you learn to live in the ongoing microsecond and find the purity of 100 %, you want to go just anywhere to do that every day, again and again. And when you succeed in something new or something really difficult, nothing beats the adrenaline rush you get. I know what I want and I’ve decided to get it. Later on I probably want and do something else, but right now I skate like the ice was melting under my feet. And I strongly believe it’s gonna be one beautiful trip”. Korpi was born in Tampere, Finland. Her father, Rauno Korpi, coached the Finnish women’s hockey team to a bronze medal at the 1998 Winter Olympics. In Finland her nickname is Jääprinsessa (Ice Princess) due to her resemblance to Grace Kelly, the former Princess of Monaco. Writing for GoldenSkate.com in 2008, Barry Mittan described her as “widely regarded as the most beautiful woman in figure skating”. In addition to her native Finnish, Korpi also speaks Swedish, English, and German. She does pilates or Ashtanga yoga when she has time. Korpi began skating at the age of five, following her older sister. She landed her first triple jump, a salchow, when she was 11 or 12. Korpi enjoyed some success as a junior skater, twice winning the junior national title and medaling at three junior Grand Prix events, including a gold in 2004. She won the silver medal at the 2005 Finnish Nationals, qualifying her for the 2005 European Championships, where she placed 13th; she then competed at the 2005 World Junior Championships, where she came in tenth, her best finish at the event. The following season, Korpi remained on the ISU Junior Grand Prix, but placed 3rd at the 2006 Finnish Nationals, 6th at the 2006 European Championships, and then went on to compete in the 2006 Winter Olympics where she finished in 16th place. Although she had placed 3rd at Nationals, the Finnish skating federation had used the results of the European Championships to determine the Olympic team. Korpi, despite being barely out of juniors, qualified with her finish. In the 2006–2007 post-Olympic season, Korpi made her senior Grand Prix debut. She placed 4th at the 2007 Finnish Nationals, then went to the 2007 European Championships and won the bronze medal, making her the second Finnish ladies’ singles skater to ever win a European medal. She finished 14th at Worlds. Early in the 2007–2008 season, Korpi suffered an esophagus infection, flu, and sinusitis, causing her to miss her first Grand Prix event. Korpi was 5th at the 2008 European Championships. At the 2008 Worlds, she was 4th after the short program but had a poor long program and ended up in ninth place.Korpi did not skate in the 2008–09 Grand Prix series. Later that season, she became the Finnish national champion, a title she had previously won on the junior level. She was again 5th at the European Championships and won the bronze medal at the 2009 Winter Universiade, her final event of the season. The 2009–2010 season started well for Korpi, with podium finishes at the Nebelhorn Trophy and the Finlandia Trophy, as well as her first senior Grand Prix medal, a silver at the Cup of China. At the European Championships, she was in second after the short program. Korpi was 11th at the 2010 Winter Olympics but only 19th a month later at the World Championships. For the 2010–2011 season, Korpi decided to try new choreographers, and worked on her competitive programs with Shae-Lynn Bourne and David Wilson. She began the season at the 2010 Nebelhorn Trophy, which she won for the first time in her career. Her assigned events for the 2010–11 Grand Prix series were the NHK Trophy and the Trophée Eric Bompard. She placed fourth at the NHK Trophy, then won her first Grand Prix title at the Trophée Eric Bompard. The combined results left her as the first alternate for the Grand Prix Final. Her next event was Finnish nationals, which she won for the second time in her career. Korpi won the bronze medal at the 2011 European Championships. Korpi sustained a foot injury (to the metatarsus) in July and withdrew from the 2011 Japan Open and 2011 Finlandia Trophy as a result. She resumed practicing toe jumps in October and said they were going well but she did not feel they were completely ready for the 2011 NHK Trophy, where she finished 6th. She was fifth at the 2011 Cup of Russia. She successfully defended her national title at the 2012 Finnish Figure Skating Championships in December. Korpi won her third medal at the Europeans, finishing second behind Carolina Kostner despite hurting her upper leg a few weeks before the championships. She withdrew from the 2012 World Championships two weeks prior to the event, citing lingering foot and hip injuries. Korpi began her season at the 2012 Finlandia Trophy, where she won the silver medal. She then won her third Grand Prix medal, a bronze, at the 2012 Cup of China. At the 2012 Rostelecom Cup, Korpi won the second GP title of her career and qualified for her first Grand Prix Final. In doing so, she became the first Finnish figure skater to ever qualify for the final. She finished fourth at the event. Korpi’s next event was the 2013 Finnish Nationals, where she took the gold medal.